Lecturer and Clinical Supervisor - Greater Manchester West Cognitive therapy training centre. Carolyn was born in London but grew up in West Yorkshire. She trained as a General Nurse in Dewsbury and as a Mental Health Nurse in Huddersfield. Her Cognitive Behavoural Therapy Diploma and Bachelor of Medical Science were obtained at Sheffield University. She has worked in a variety of Health care settings for 31 years. 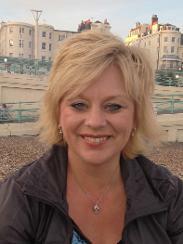 Carolyn also works within Occupational Health providing CBT to employees for a variety of companies.